Growing up in New England, years before the craft cocktail was the biggest rage, Grenadine was found in every household and restaurant. Unlike Rickey‘s from a lot of other area, in New England, if you had a Rickey it surely had Grenadine in it. Shirley Temples and Raspberry Lime Rickeys were every kids favorite thing to order when out to dinner to feel special too when their parents had their adult drinks. We all like to relive our childhood memories at times and now I wanted to enjoy a version of that uber sweet tangy drink – grown up style! This will make a fantastic summer drink. I would like to try next with some home made grenadine. 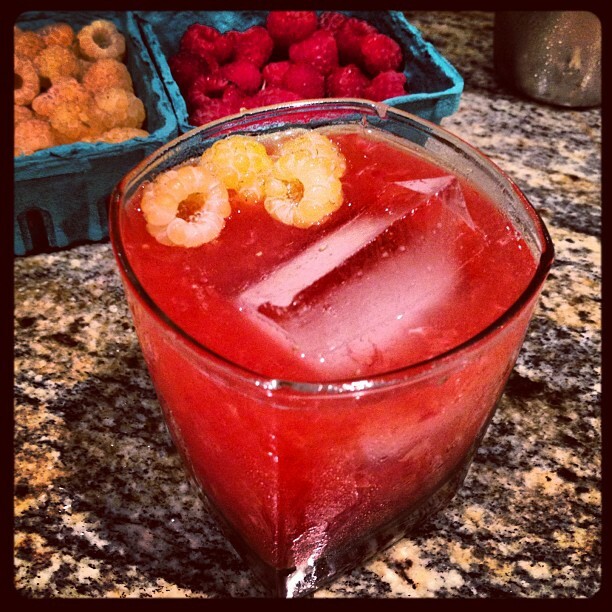 Tags: gin, Grenadine, New England, Rickey, Shirley Temples. Bookmark the permalink.